Lexus is in fifth gear. Ups, we are sorry, the term is outdated, and that tenth gear should be it. Since Akio Toyoda, the biggest name for Toyota and Lexus, announced that era of boring cars is over, Japanese sailed ahead in full swing. One of the main thing for new Lexus’s, besides bizarre overall styling, was also bizarre Spindle Grill. Firstly shown on refreshed CT in 2013 it quickly spread to the rest of the lineup and it evolved into its design, making it one of the most interesting things in the current automotive world. While Lexus is living its renaissance of craziness when it comes to the styling area, sales went through the roof as we seen an increase of 42% in the last six years. 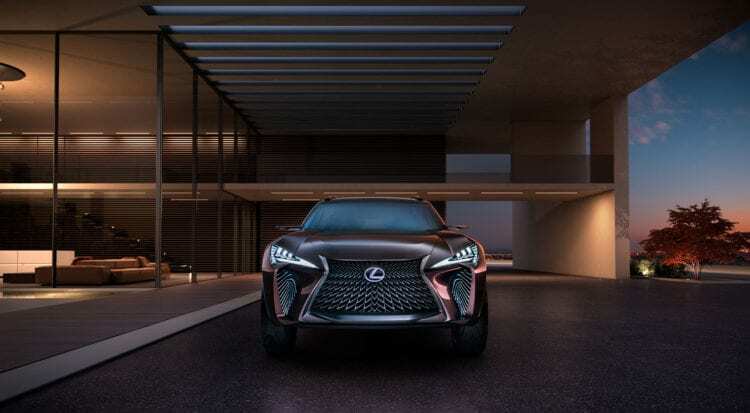 When we look at the SUV lineup, it is pretty packed with the latest and smallest NX to the huge LX, and yet more space would have to be made as 2016 Lexus UX concept indicates that new thing is on the horizon. UX concept is clearly insight to the future compact model from Lexus, ready to engage itself in combat with Merc GLA, BMW X1, and Audi Q3. BMW recently introduced the second generation of its player for the segment, while Audi is testing its new model currently, so Lexus should join the game quickly. Since NX model started the fresh offensive against German trio, there is no way of stopping things now. For the beginning, we have to clear things right away as UX is concept obviously far from production version in terms of looks. Knowing Lexus, we shouldn’t be surprised if a majority of panels remain the same as we seen it before. Remember, for Japanese luxury brand common, radical 2012 concept LF-LC, and yet 2018 LC proved not a bit more peaceful than it. For our model in question, Spindle Grille is present in its beautiful waterfall form and also sharp lights both head and tail ones. Interestingly, overall sharpness that we saw with latest models is to some extent muted with a newly found fluidity which actually brings the dose of elegance to the table, although still in rather a shy manner. Anyway, one thing is sure, and when it hits the showrooms, it won’t leave anybody indifferent, as Lexus don’t know any other way in recent years. 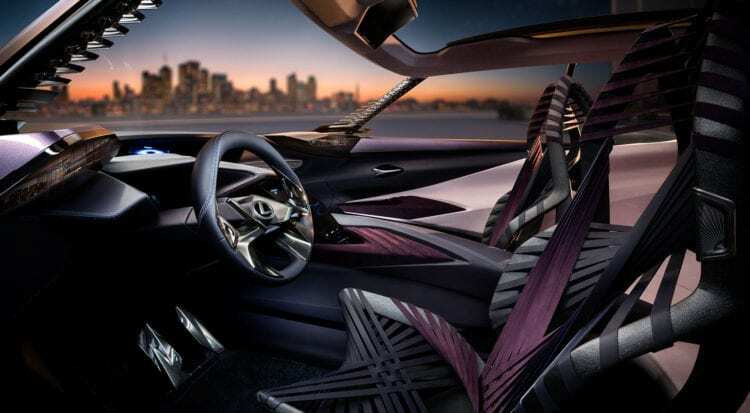 While we can argue how much production model can carry from the concept’s exterior, the interior is just too much futuristic to find its way into the production, even it is Lexus that we are talking about. Dash is plain cockpit belonging to some spacecraft, just arrived from other planet and it is loaded with touch sensitive screens and lots of them. Overlapping of various surfaces was executed in a much more erratic manner than in LC, so it is not so pleasing, and it is certainly more confusing for an earthly brain. Front seats, nicely called Kinetic seats, hide in their name the fact that they are actually two hammocks stretched around seat frames. They appear as to be stolen from Alien vs. Predator movie and it should be PG rated same as the film is. The certain thing is that 2016 Lexus UX concept represent future compact model from Lexus. Its dimensions clearly demonstrate what is said as it is 9.1 inches shorter and 5.0 inches lower than mid-size NX model. Interestingly it is 1.2 inches wider, and this should probably change till the production version comes. 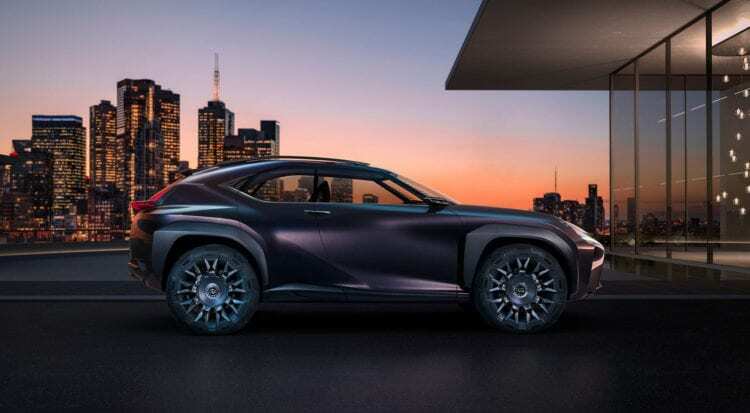 Lexus made reservations on UX200, UX250, and UX250h nameplates, so it will probably carry NX engine lineup consisting of 2.0-liter petrol engine and 2.5-liter hybrid one. No official date of release is even close to being known, but this is definitely a model worth of waiting for.